Open your mind and heart to discover the true language of the horse. 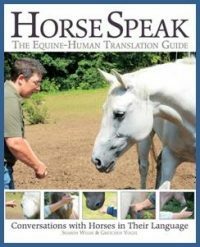 Deepen your understanding of equine behavior and the subtleties of their communication system. Develop mindfulness and self-awareness to enhance the relationship you share with horses. Experience the difference becoming more grounded and centered makes to the horse. Limited Participation Spots Available, auditors welcome! A payment plan is available: pay 1/3 with your registration to hold your spot; 1/3 45 days prior to the clinic, 1/3 at the clinic. Add $5 administration fee per payment.